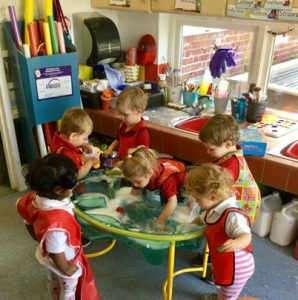 Pippins class have been making a splash in our new water tray this week. It was such fun using the nets to search for fish amongst the bubbly water! Also this week the children made some lovely owl pictures for the upcoming art exhibition. deciding what each picture looked like! Oaks class have had great excitement this week with the arrival of 5 hungry caterpillars! We are going to look after them carefully and hope that in a few weeks’ time, they turn into 5 beautiful butterflies. The children have also been busy creating lovely Rainbow pictures for the upcoming art exhibition.